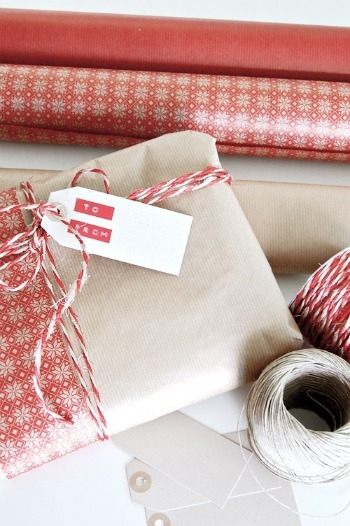 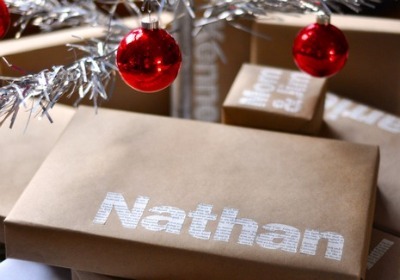 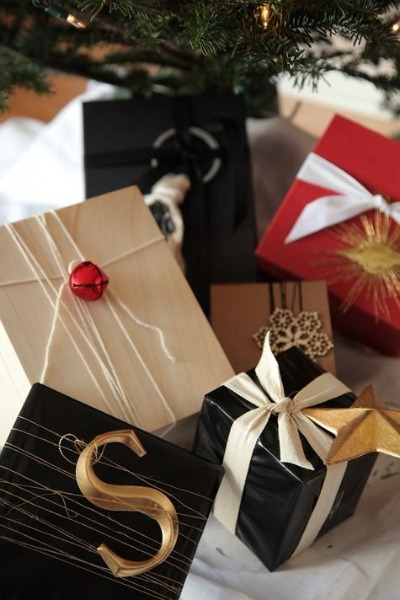 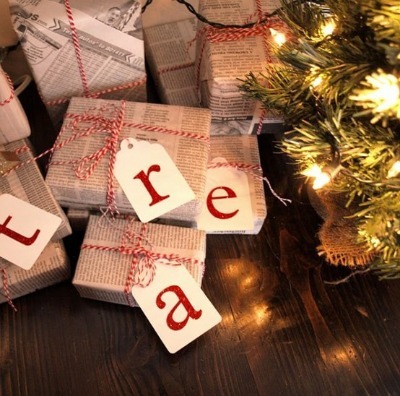 In case you missed last Tuesday's post, I'm the wrapping queen in my family. 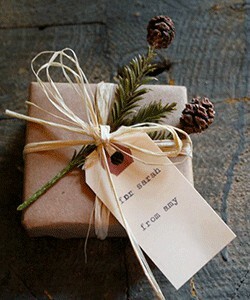 The roots of my sickness love of wrapping are very much a no brainer since I love creating beautiful spaces. 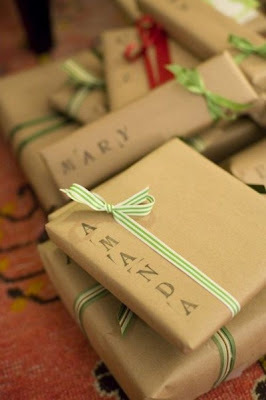 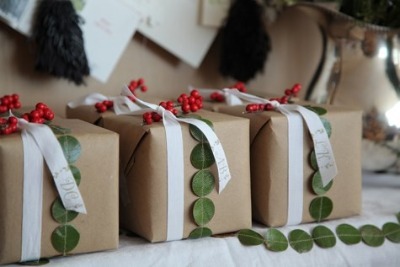 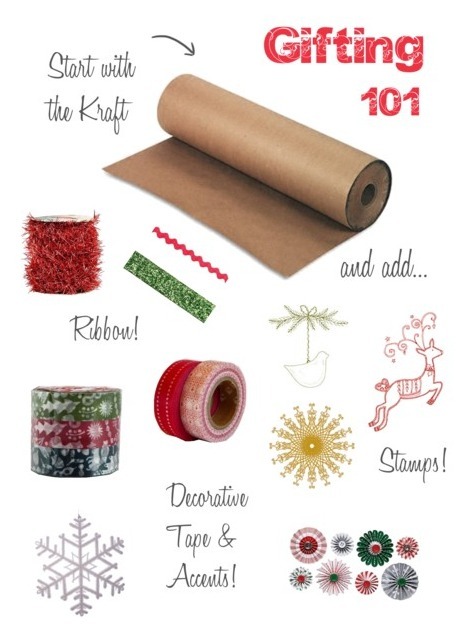 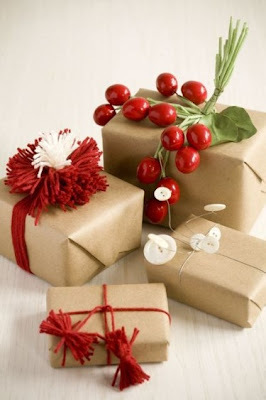 While I've been known to employ wrapping paper of all colors, patterns and motifs in Christmases past this year I'm drawn to the look of plain kraft paper dressed up with festive accents. 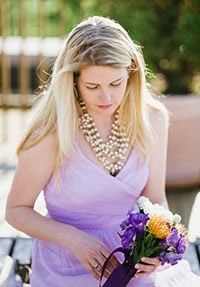 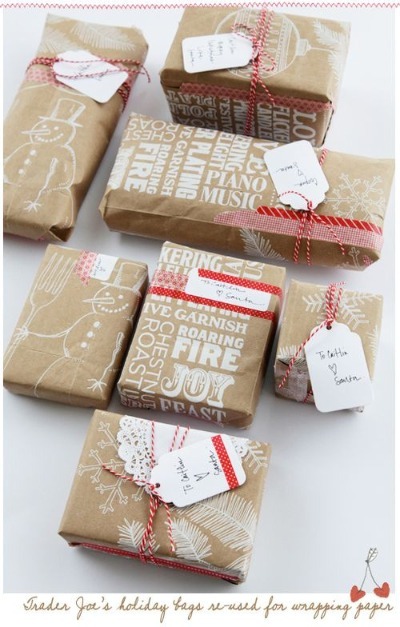 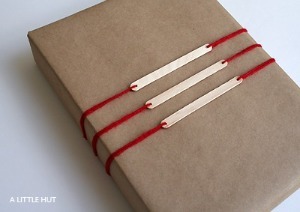 Feast your eyes on these gorgeous inspiration images and then check out my source guide for holiday wrapping accents.